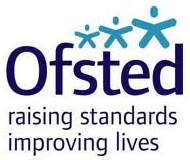 As Roly Poley’s private day nursery is approved and regulated by Ofsted, please see the e link at the bottom of the page for the full report. During our first inspection in July 2012, we achieved an overall GOOD with two elements of Outstanding practice. However, please also see the comments from the OFSTED inspector on two other areas where our service was borderline outstanding. As you have mentioned I did feel that the planning was a strength due to the fact that it was based strongly on children's individual progress, their interests and the observations made by staff. However this area covers move than just the planning. It also looks at the progress children make and to achieve outstanding all children, including babies need to make significant gains in their learning and their individual progress consistently good and often excellent. At the time of the inspection it was in part the section about being consistent that meant that I did not give outstanding. The setting has not been open long, 16 months, with many children having only been at the setting since Jan 2012. For me to feel that it is consistent I need to see that progress happens over an extended time period of time and, although there is no set period of time for this, I did not feel at the moment this was long enough. However as I stated during feedback, I felt that you were definitely heading in the correct direction for this. 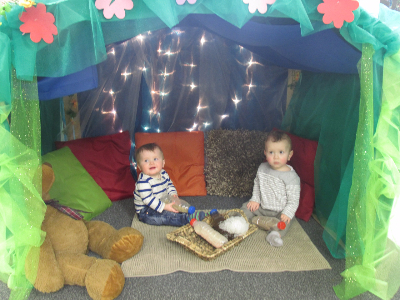 The recommendation that I made regarding the outside area would also have an impact on this as it specifically mention that it is not fully developed for young babies or in all 6 areas of learning. Although, as mentioned, I believe that the work you do with staff to want them to achieve more as well as the monitoring of their progress is outstanding, this judgement also takes in to consideration outcomes for children. For all outcomes you were graded as good. To be outstanding, these need to be exceptionally high, and are once again linked back to me seeing that the progress occurs over a sustained period of time. I hope this answers your questions satisfactorily as to why these judgements are good rather than outstanding.